Dada Life "One Last Night On Earth"
Many artists will proclaim that they aren’t just artists, but that they are a brand, a lifestyle, a mentality. Dada Life have taken their all encompassing commitment to their art to the next level and actually petitioned the UN for the right to declare their sovereignty and allows them to lay claim to any space hosting a Dada Life event as a part of Dada Land. While some took it as a publicity stunt, officials in their home country of Sweden went so far as to seize their passports at the airport while they “reviewed the situation.” Publicity stunt or not, it’s all the proof you need to understand how massive the Dada Life sphere of influence stretches! With their new single “One Last Night On Earth,” they continue their string of massive hits and exponential growth to the top of a crowded DJ scene. They’ve reached #1 on the iTunes Dance chart and top 10 overall iTunes with their last album The Rules of Dada. The Dada Land compound shows have hit LA, SF, Mexico, Philadelphia, San Diego, Hawaii, and Chicago, with more dates worldwide in the works. Shows in LA, Miami, and Austin were so packed that police in riot gear had to come quell the fanatic crowds! Ultra, Coachella, Tomorrowland, Electric Zoo, and EDC have all gotten their fill on the festival circuit. “One Last Night On Earth” is the next single from the group that promises to electrify audiences everywhere with peaks as high as the Andes and a backbeat that could wake the dead. “One Last Night On Earth” is a video that takes the apocalypse and turns it into one last excuse to throw down. As her parents watch the TV with fear and sadness in their eyes, the video follows a young girl and her crew as they look at their impending doom with defiance and a determination to go out with a smile on their faces. With the massive meteor hovering above and coming closer every minute they hit the empty market for a last meal, and then hit the woods for a campfire and a memorable and uplifting “one last night on earth.” It’s a slick clip that reinforces the message that life on Dada Land is always ready to find the best in a situation! It is our distinct pleasure to be working with Dada Life on this video and to have them as a part of the HIP roster. 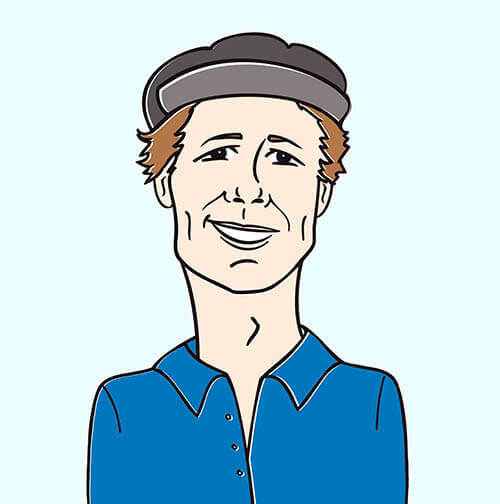 They are one of the hardest working and most creative acts you’ll see and we encourage you to reward their efforts by including this video in your programming!Please hit up Andy Gesner and the team at HIP Video Promo at (732)-613-1779 or email us at info@HIPVideoPromo.com for more info. 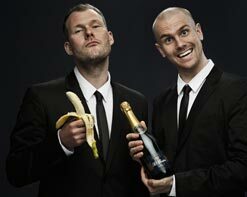 You can also visit www.DadaLife.com.